Nearly a third of truckers live with a sleep disorder that could impact their alertness, stirring a debate over screening truckers for sleep apnea. NBC 5 Investigates' Chris Coffey has the story. But the FMCSA said truck drivers diagnosed with sleep apnea can continue to operate commercial vehicles as long as they are successfully treated. Batavia-based truck driver Bob Stanton said he was diagnosed with sleep apnea in 2002. He uses a continuous positive airway pressure therapy (CPAP) machine to get better rest and stay physically qualified to drive a big rig. “The machine keeps track of when am I using it and is it working right and I have to give that to the DOT (Department of Transportation) medical examiner every year,” Stanton said. However, there is an ongoing controversy of whether screening for sleep apnea should be mandatory as part of the DOT physical. The FMCSA had been considering mandatory screening. But in 2017 the agency announced it was no longer pursuing the regulation. The decision came during the Trump administration’s campaign to cut many federal regulations. Currently, it’s up to a medical examiner’s best medical opinion on how to screen a driver for sleep apnea. Stanton consults with a sleep apnea testing company in addition to driving commercial trucks. He told NBC 5 Investigates truckers should not have to pay for tests they don’t need. But he said he is in favor of a standard sleep apnea testing and treatment rule. “In large part, to help protect the drivers so there’s consistency in how they’re being screened and what we have to do when we’re treated,” Stanton said. According to the National Transportation Safety Board, obstructive sleep apnea has been cited as a proximate cause or contributing factor in the probable cause of 13 highway crashes and rail accidents that combined have killed 50 people and injured 373 others since 2000. Sleep apnea testing could cost individual truck drivers a lot of money. According to a study by the American Transportation Research Institute, drivers who had been referred to a sleep study paid, on average, $1,220 in out-of-pocket expenses to be tested. The Owner-Operator Independent Drivers Association (OOIDA) said it thinks there are financial motivations behind the push to mandate screening for all truckers. “Sleep apnea is not a new disorder, but a condition that has affected millions of people over several decades and yet there has not been the carnage and devastation on our roadways that some would have us believe is inevitable without stricter mandatory OSA (obstructive sleep apnea) screening regulations,” OOIDA spokesperson Norita Taylor wrote in an email to NBC 5 Investigates. Taylor said there is currently no current consensus about what fatigue is or how it should be measured. “Our members have expressed concern about how this topic is portrayed in mainstream media, that the theme is too often about “tired truckers” causing all crashes, which isn’t true. 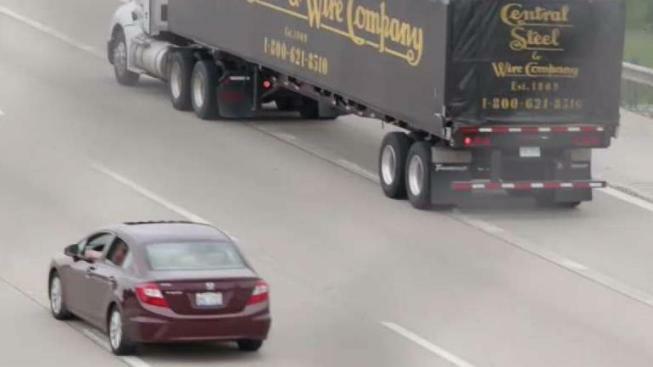 Most truck related crashes are caused by other drivers, not truckers,” Taylor wrote. Dave Moss is in charge of safety for a Chicago-based motor carrier and a representative of the Illinois Trucking Association. He said it’s best to leave screening up to health experts. A Metra spokesperson said the Chicagoland rail agency is in the process of formalizing a sleep apnea testing program for its engineers.